"I'm not sure I'm interested in that. No I am sure. I am not interested in that." 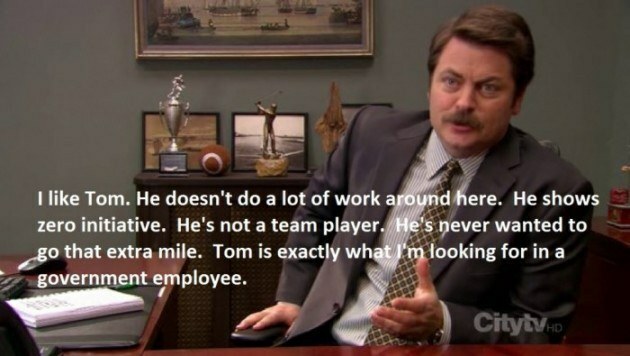 "Parks and Recreation" isn't just another office comedy. 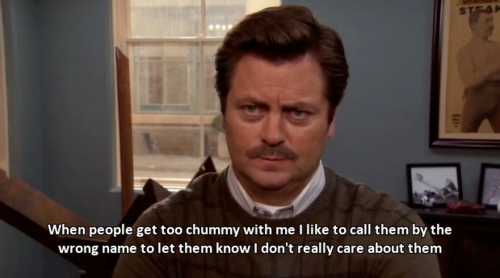 If you pay close attention to the characters, you can learn some very important life lessons from them; especially Ron Swanson. 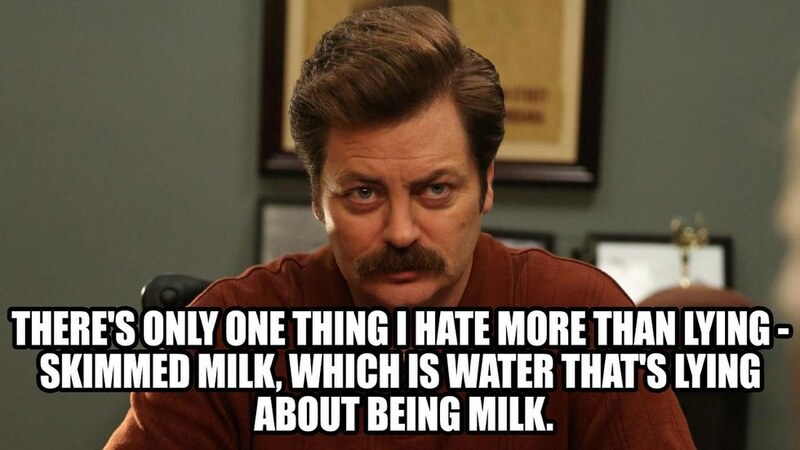 Before Ron takes on any task, he fuels up with a healthy, balanced breakfast. He knows that this gives him the energy he needs to tackle his day at the office. 2. Your ex is crazy. We should never rekindle what's already been burned. No matter how many times they show up trying to get you back, pretending they've "changed." 3. 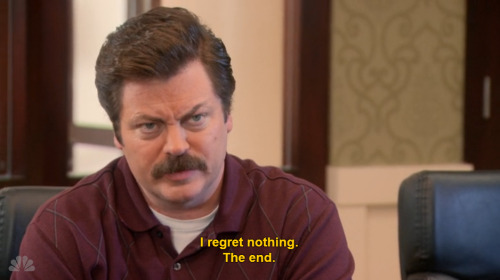 Live with no regrets. 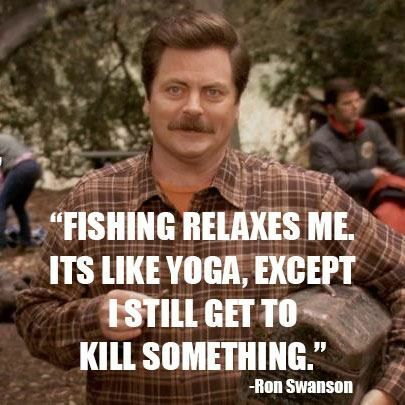 Ron does whatever he thinks is the best thing to do for himself at all times. It never turns out too bad for him. 4. Always try your hardest. As long as you're doing your job, you might as well do it to the best of your ability. 5. Meat is an important element of a balanced meal. Meat contains nutrients that your body needs to be able to function properly, don't miss out on these nutrients by eating your food's food. They need that lettuce so they can feed you. 6. The government doesn't always run like a well-oiled machine. 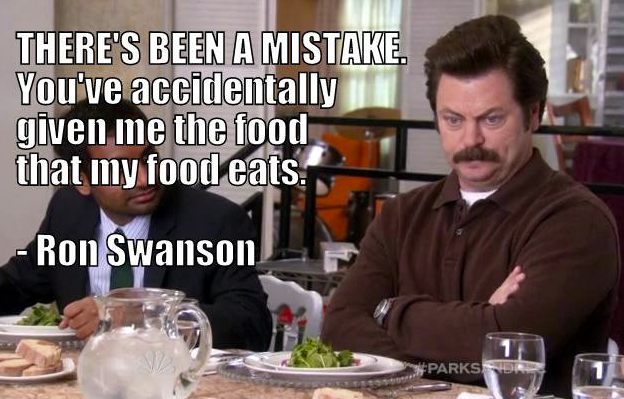 There are flaws in every government system, even the Parks and Rec department. 7. Keep your friends close, but never too close. It's important to have friends, but never to let them get close enough that they can do any damage to you. 8. Always learn from your mistakes. Nobody is perfect, but we all have the ability to learn from our wrong-doings. When something goes wrong, you need to keep your head held high, chin up and just keep moving on. 10. Always tell the truth. No matter how much it hurts people, it's better to be honest. 11. It's the little things that mean the most. You don't need fancy things just to be happy. 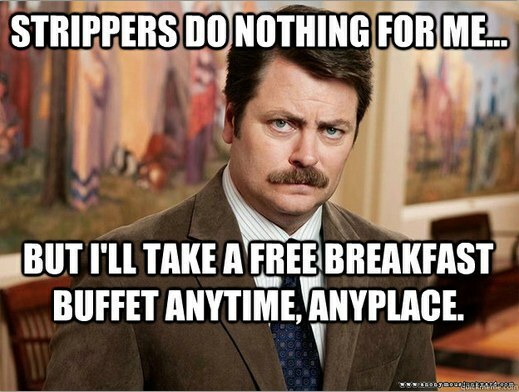 A plate of breakfast food will do the trick. 12. Sometimes you need to take a break. Whatever kind of stress you're under, you need to take some time for some "you" activities, whatever they may be.